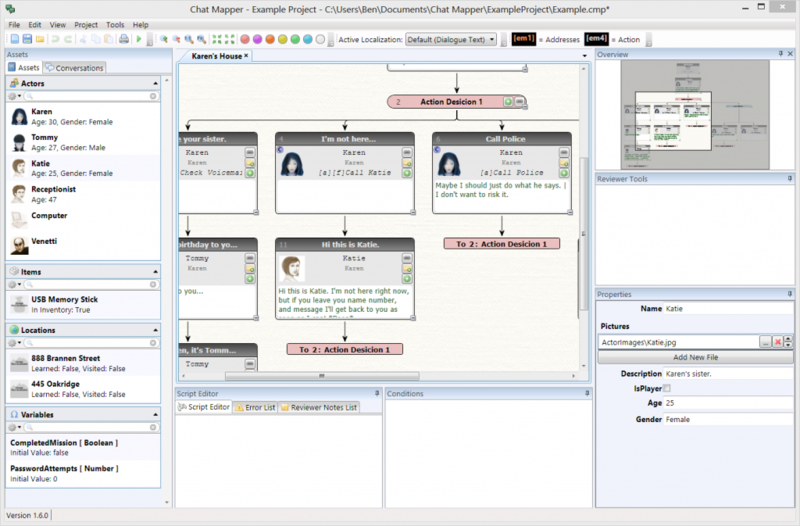 ChatMapper is an easy to use tool for writing and testing nonlinear dialogue and events for fields where complex problems are the normal, such as entertainment, e-learning, emergency response, diagnoses health care, sales and customer service, and strategic planning. Our goal is to help entertainment companies, government agencies, and educators world-wide not only see the bigger picture, but be able to create it, traverse it, and change it as they go. CHATMAPPER IS FREE TO TRY. 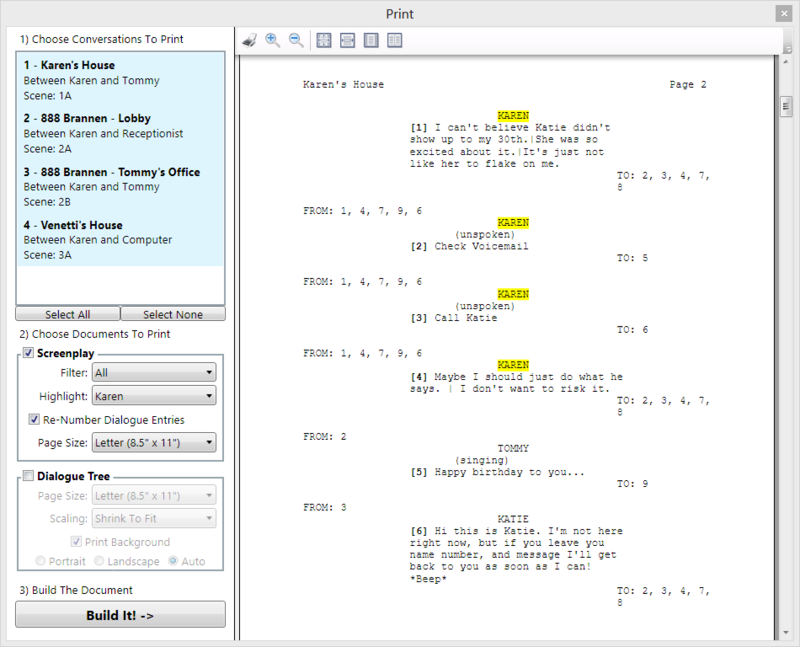 This sample makes use of Responsive Designed HTML export, Multi-Language Dialogue Nodes, Recorded Audio for English, Spanish and French Text-to-Speech, Actor Expression States, Scripting and Variables. The sample project is bundled in the ChatMapper download. Hint: Tap to proceed conversations. Use language flags at any time for spoken dialogue. 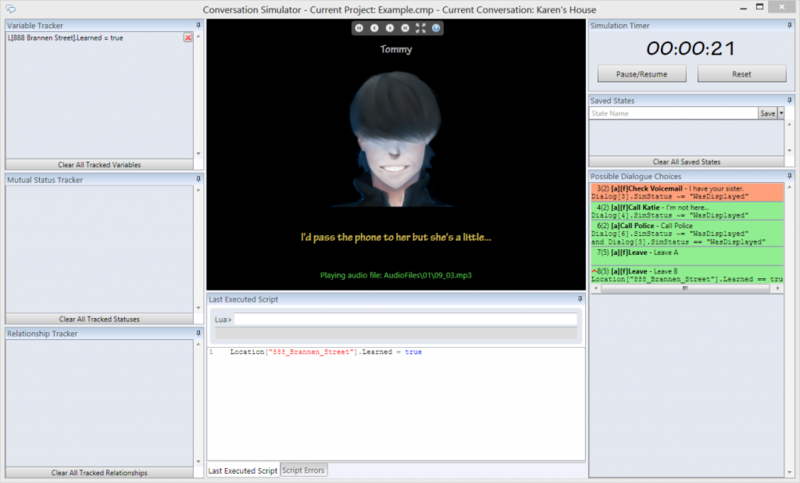 Design and simulate realistic non-linear dialogue between characters for video games and visual novels with scripting support. Teach, observe, and correct behaviors and techniques in sales, language, medicine, and emergency or disaster response. Study user interaction with virtual avatars in bounded yet non-deterministic and immersive branching scenarios.